In my travels and discussions over the years with other beer lovers I've stumbled across some perceptions that are a bit off. They are all basically harmless, but nonetheless it doesn't hurt to point them out. Some of the topics on the list are general, some are specific, and others quite random. This blog takes a look at 16 common beer-related misunderstandings linked to our favorite drink. I've split this list into two posts. This first entry will discuss one through eight, and in two weeks I will finish off nine through 16. I'm sure I missed dozens. Do you have any to add? Feedback is always welcome! 1) Fresh beer is better. Anheuser Busch has spent millions of dollars drilling this into our heads. Why? Partly because for beer, being like bread, this theory is typically correct. But mostly because their beer turns over so fast they don't need to worry about anyone buying an old Budweiser. Imports, on the other hand, are often three months old before they get to the US. It is a smooth way to get consumers to favor their product. As a rule of thumb, filtered, light (in alcohol) beers are best fresh. But many bottle conditioned, strong beers are worth laying down and will build character - some improving for several years. 2) Fruit and honey make beer sweet. This misconception probably stems from the fact that many fruit and/or honey beers are sweet. But that sweetness typically comes from artificial flavoring or added sugars. The sugars in honey and fructose from fresh fruit are simple sugars and readily fermentable by brewer's yeast. They tend to dry beer out, not sweeten it. (Think of a dry Belgian Triple, typically made candy sugar added to the boiler.) Honey and fruit may add character, but not body nor sweetness after being fermented out. I've had numerous pilsner clones that are dry hopped, and most of them are good, but they do not taste true to style. And just because a beer exhibits a great hop aroma and flavor that does not necessarily mean it was dry hopped. 4) Dark beers are "stronger" than light beers. In my Beer 101 class I have a quiz question. Which beer contains more alcohol: a) Miller Lite or b) Guinness Stout? Lite is 4.3% abv, while Guinness is 4.2%. Darkness in beer comes from highly kilned malts such as crystal, chocolate, black patent and roasted barley. It does not take a lot of roasted barley to turn a beer quite dark. Alcohol comes from the amount of sugar in the wort. That sugar could be derived from light or darker malts. Light beers can be quite strong (IPAs, Triples) and dark beers can be quite weak (Mild, standard Stout). 5) All of Germany is Bavaria. When most Americans think of Germany they have images of Maß swilling groups of Lederhosen-wearing men in big tents. And this is what you would see if you were to visit Oktoberfest in Munich. But wear your Lederhosen up north where Beck's or Wahrsteiner are brewed and you'll get laughed out of town. Bavaria is the undisputed beer capital of Germany. From per capita consumption, number of breweries, festivals, etc. Bayern is the place to be. But west and northern Germany also have strong beer traditions (think Pilsner, not Helles), though culturally much different than the stereotypical American image of Bavaria. 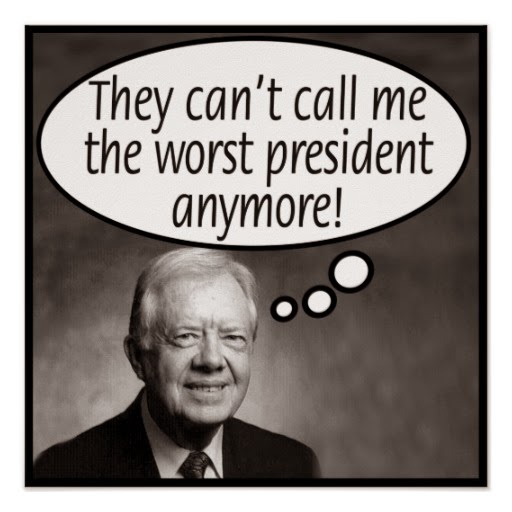 6) Jimmy Carter was a lousy president. Well, I don't really want to get into politics here. And trust me, I'm not going to stick up for Carter's record. But not all four years of his presidency went to waste. In 1978 Jimmy Carter did sign a law that essentially legalized homebrewing at the federal level. That is why many homebrew shops to this day will have a picture of Jimmy Carter with a halo over his head. 7) Winning the Beerdrinker of the Year competition is about how much or how fast one can drink. Many people have asked me questions like, "How much did you have to drink?" For those that have been to the competition, they know chugging beer has nothing to do with the honor. BDOTY is about passion, knowledge, sensory perception, being an ambassador, and a bit of wit. I think that sums up the major points. To give people an idea of what it takes to compete I refer them to my Beer Resume. 8) Homebrew is not as good as craft beer. Not many of the craft brewers in the US are classically trained. Most graduate from the homebrewer ranks and go pro. In theory these guys would be the best of the best. With that said, home brewers have some advantages over the "big" guys. Brewing six-gallon batches of beer instead of 600 allows the little guys to experiment more. In addition, money is no object. What is another 40% expense in ingredients, when it is still relatively cheap to brew your own, and time is typically the homebrewer's biggest investment. Finally, home brewers are not bound by inflexible brewery configurations. Expensive craft systems are typically of high quality, but also may limit process flexibility. Homebrewers can step mash, decoction mash, make their own hopbacks, etc. There is just a lot more options from batch to batch on a home system. I'd put the best homebrews up against the best craft beers any day. Are there any judges out there that have worked both the AHA Nationals and the GABF? I'd like to hear your comments. Well, that wraps up my first eight beer-related misconceptions. Come back in two weeks for the second half of this column. In the meantime enjoy a nice Maibock to celebrate the break of spring! I guess you don't have to judge the book by its cover.